Combine sugar and lemon juice, stir until sugar dissolved. 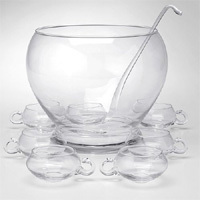 Chill, pur over ice ring in a punch bowl. Add Chablis and Champagne; gently stir to mix. Garnish with a strawberry.